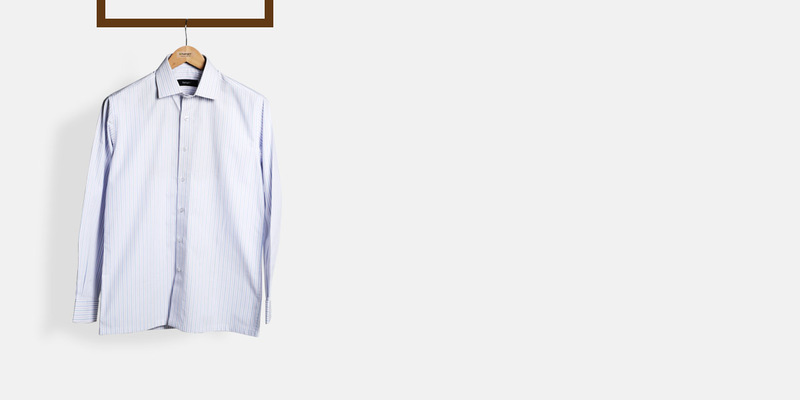 Blue & Purple Striped Shirt - (100% Cotton, Easy Care) - Fitted by A.I. This Blue & Purple Striped Shirt can be personalized. Create perfection with a simple 3 step process. 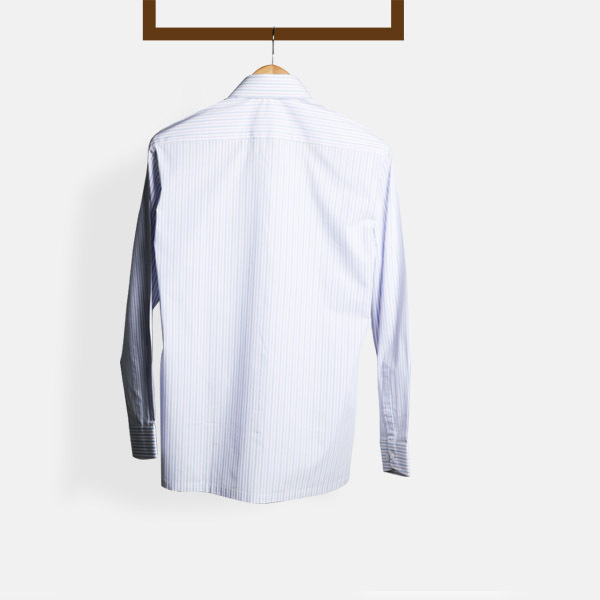 This pastel blue-purple striped shirt is tailored from crisp cotton and can be combined with a navy suit and a tie for a stellar work look. 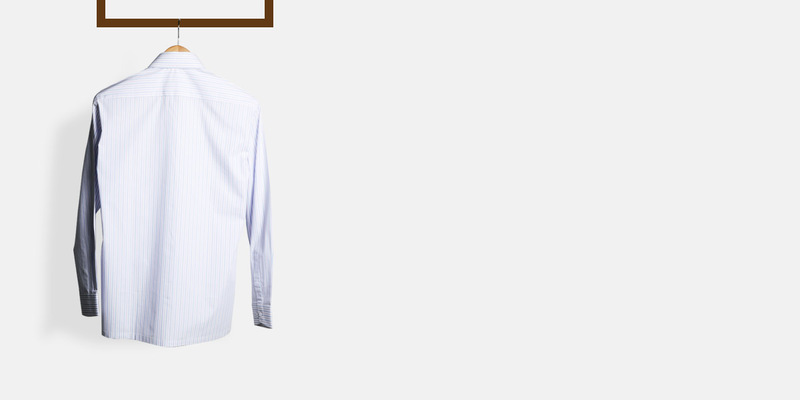 This shirt is made from crisp 100% Premium Cotton which will stay comfortable in any situation. 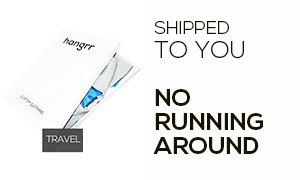 The lightweight of the fabric is ideal for warmer temperatures or layering in cooler days. 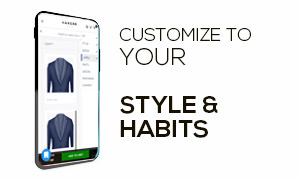 Our Custom shirts are built with perfection for personalization. Our Shirts are constructed with fused collars and cuffs, sturdy seams and side gussets for added durability. You can add your initials on your Hangrr custom shirt just like we add our insignia to your shirt which reflects the power of your 'true inner self'. 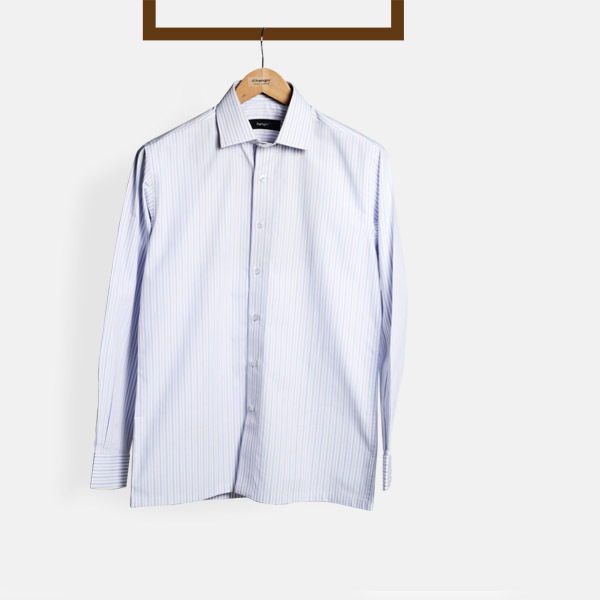 Every shirt is made for a smart and an ambitious Man. 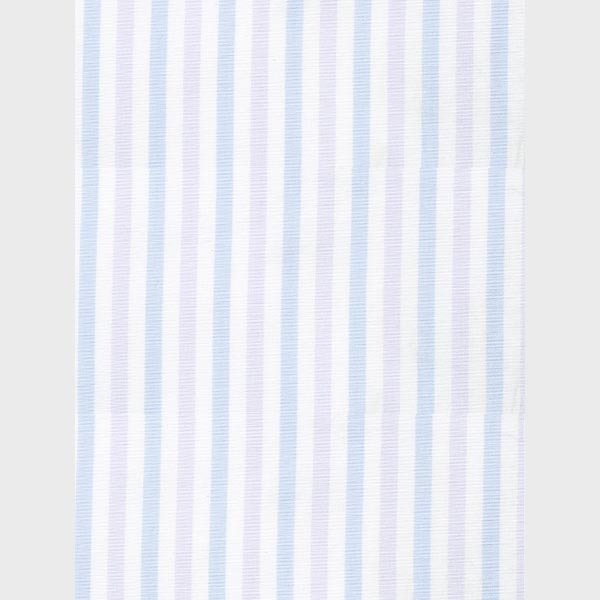 Presenting the - Blue & Purple Striped Cotton fabric. 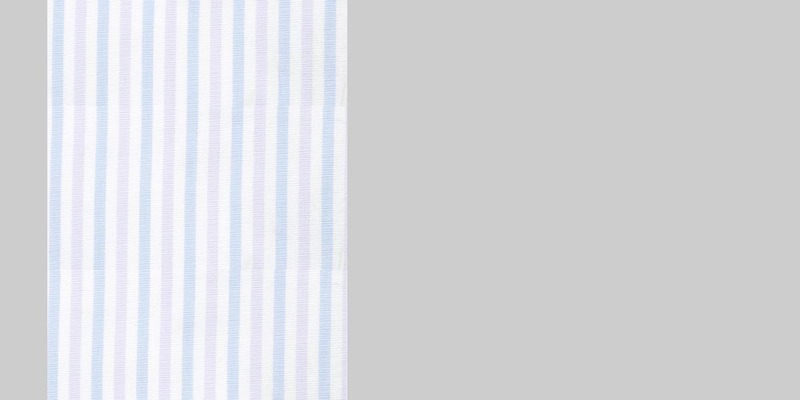 This amazing white striped fabric is part of our premium cotton collection. This fabric weighs around 102 gsm.